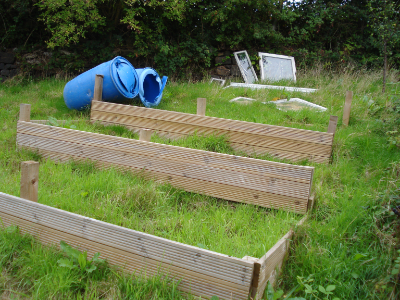 The Town Council gave me this plot in August 2010 just as I was going away on holiday. So aplogies to fellow tenants for not getting stuck into the weeds and brambles sooner. 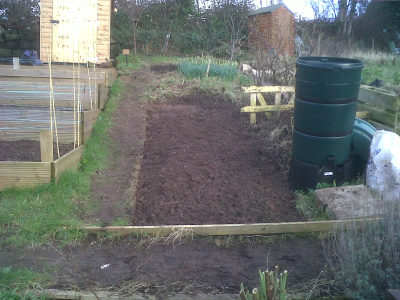 However, progress over the winter has been good and I've begun planting broad beans, shallots and garlic. This is my first attempt at an allotment, so I'm grateful for all advice received.